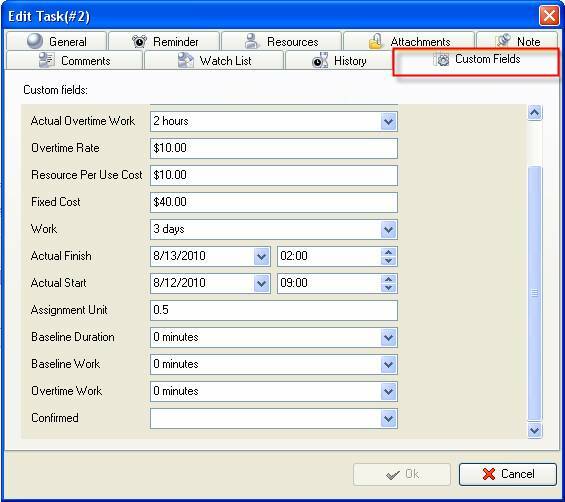 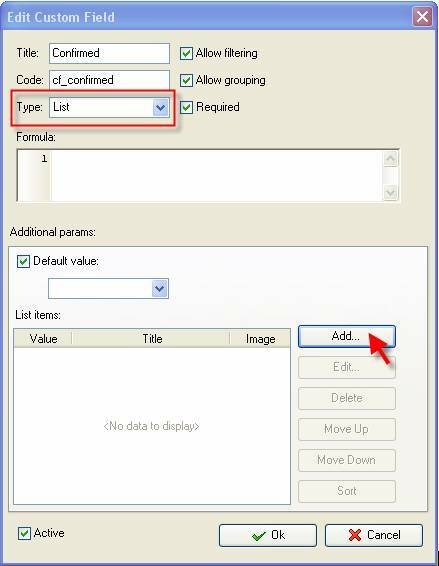 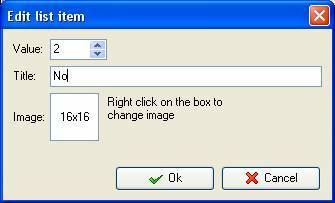 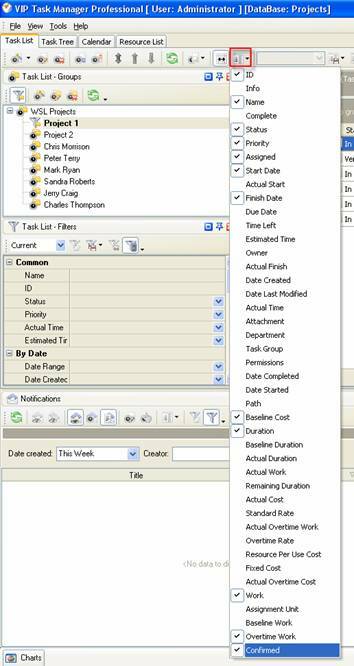 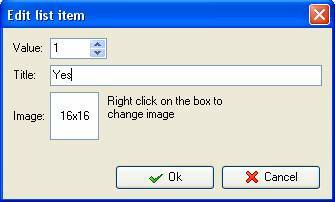 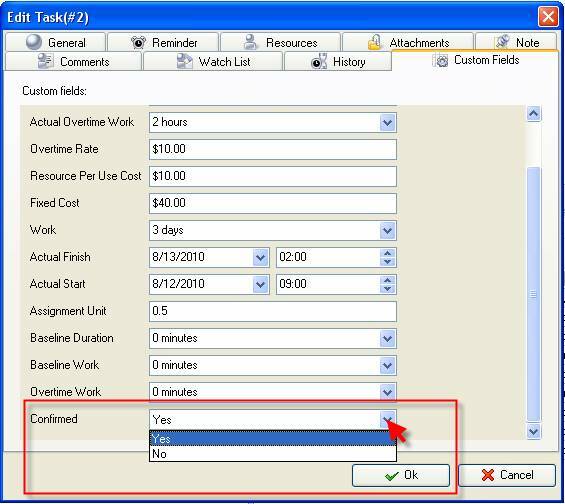 Confirmed custom field shows if the assigned resource accepted or rejected the assigned task. 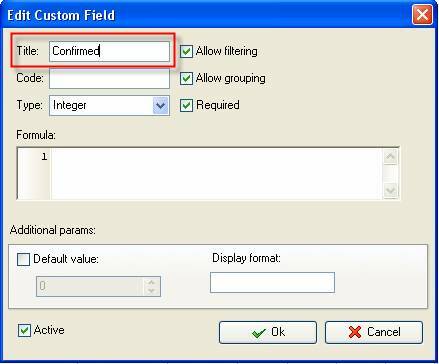 This custom field has 2 values: Yes or No. 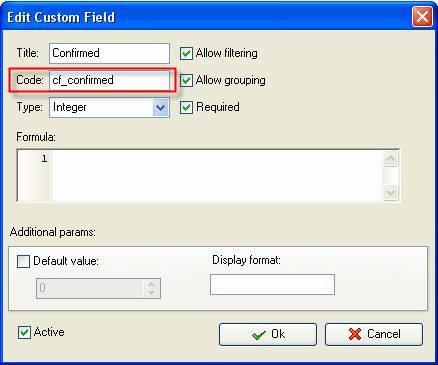 in "Title" field enter "Confirmed"
in "Code" field enter "cf_confirmed"
to display the value of custom field Confirmed on Task List or Task Tree please go to Task List or Task Tree, click Task List Columns or Task Tree Columns button and check the custom field "Confirmed"
Select "Yes" or "No" from drop-down list for custom field Confirmed and click "Ok" button.